Nokia is still into features phones. There's no doubt that they are selling a considerable amount of units in this line especially in a market like ours. 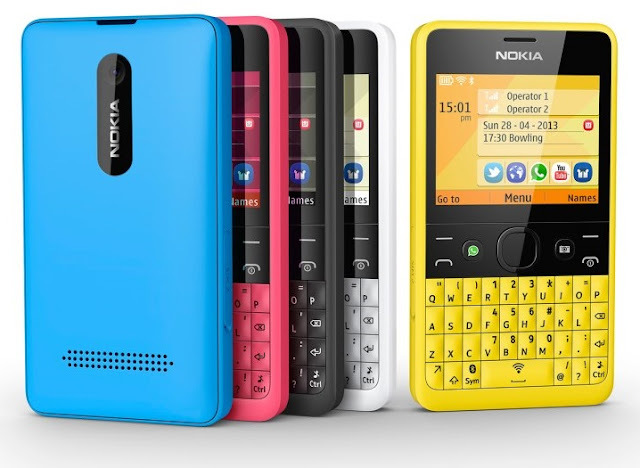 Now, they have released the Nokia Asha 210 - a candybar designed feature phone that throws a classic QWERTY key pad. The handset is a reminiscent of the Nokia trademark with its vibrant hues. Moreover, it'll come with a dual-SIM and a single-SIM variants. On top of the normal radios, the 210 will also have a WiFi connectivity to cater its dedicated WhatsApp button. Yes, this unit is a lovechild of the Finnish-giant and the popular cross messaging app. Other features include an easy Facebook and Twitter access, plus the 2MP camera wont let you hanging if youu want to capture those picture-worthy moments. So what do you think? Will you consider a longer look into this feature phone? Check the rest of the specs below.